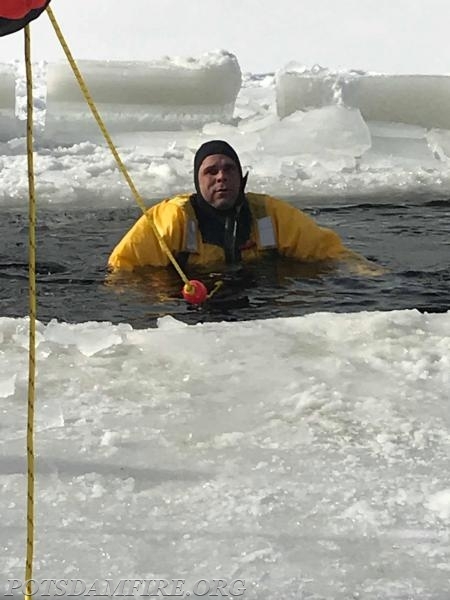 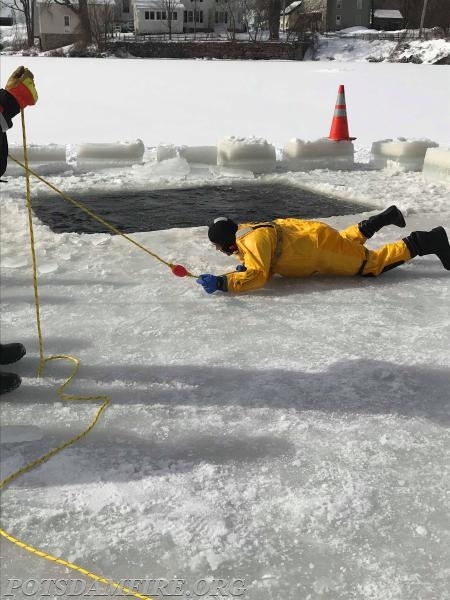 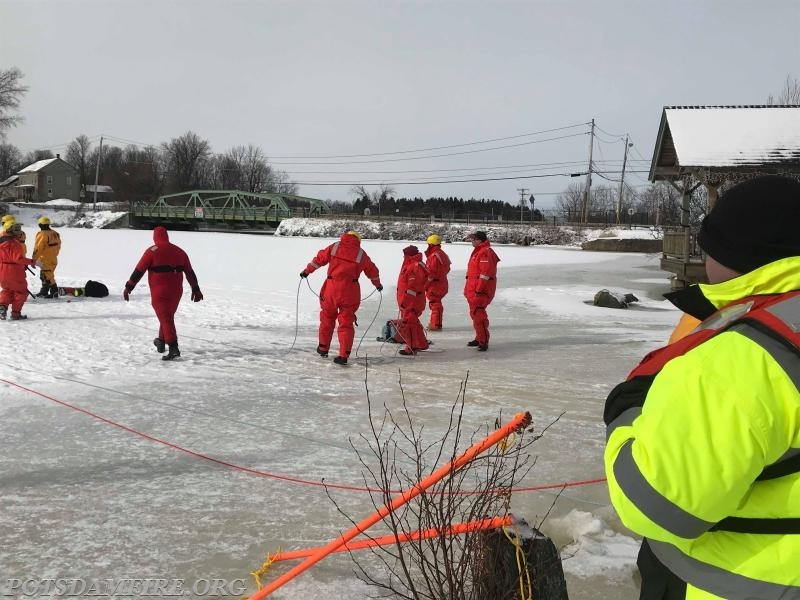 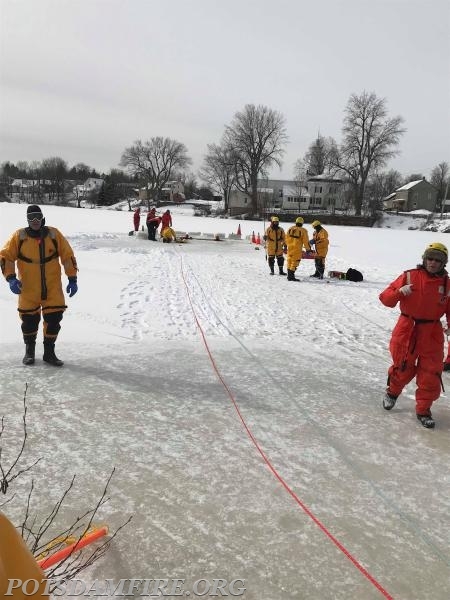 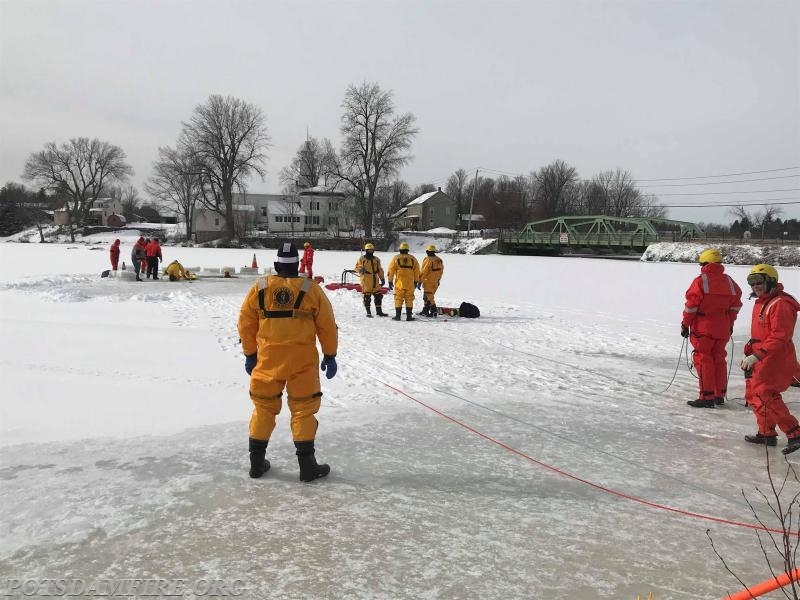 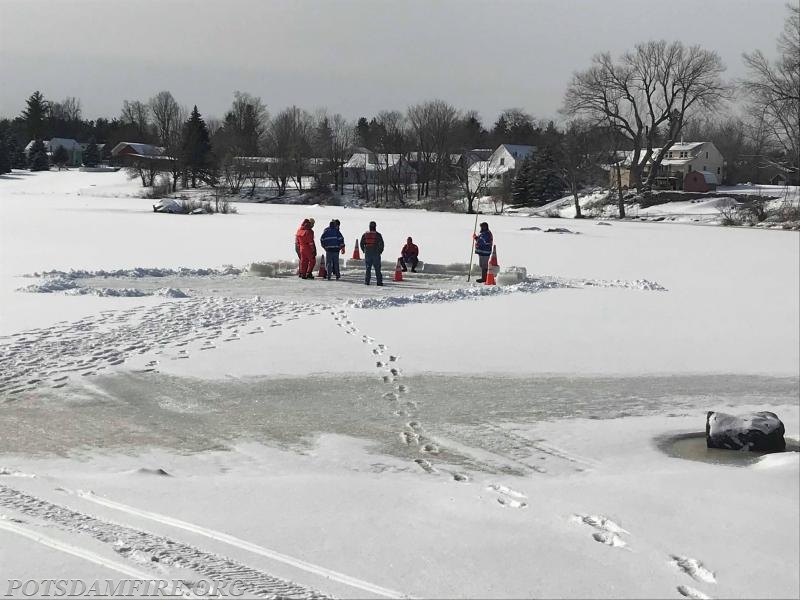 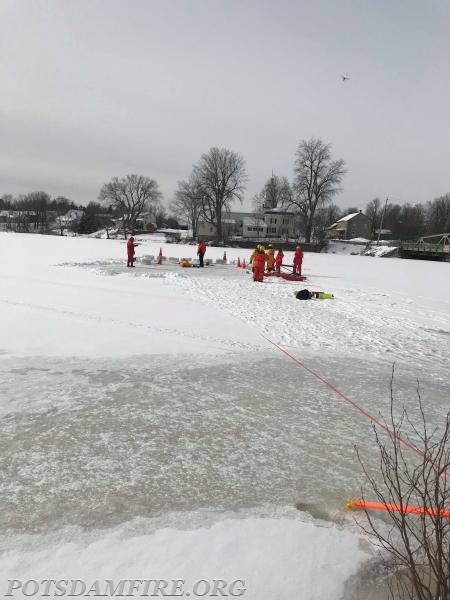 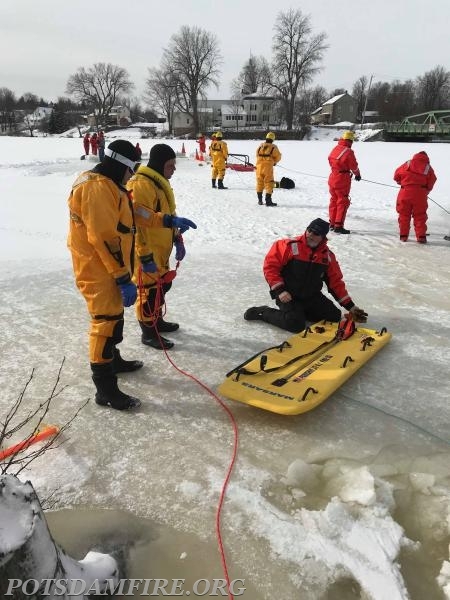 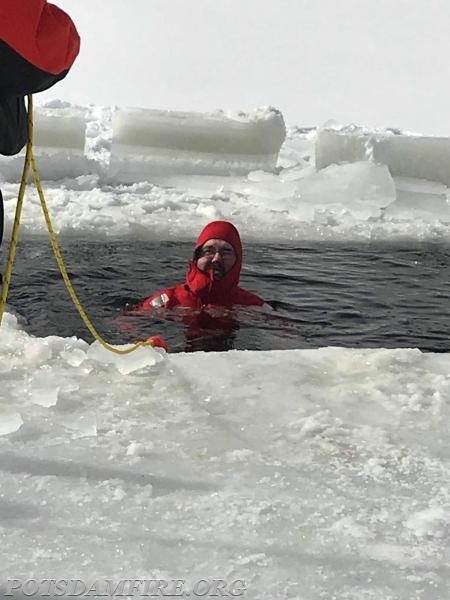 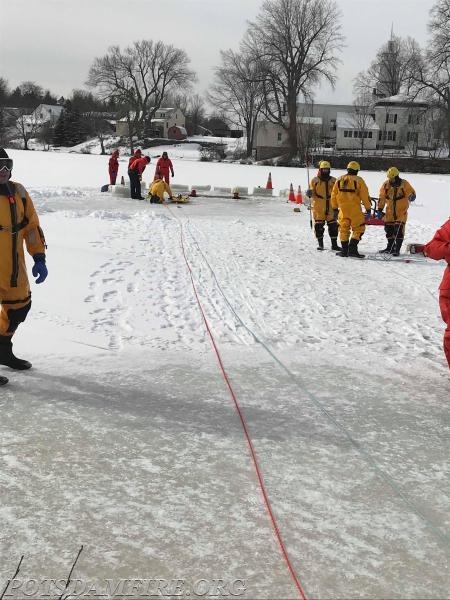 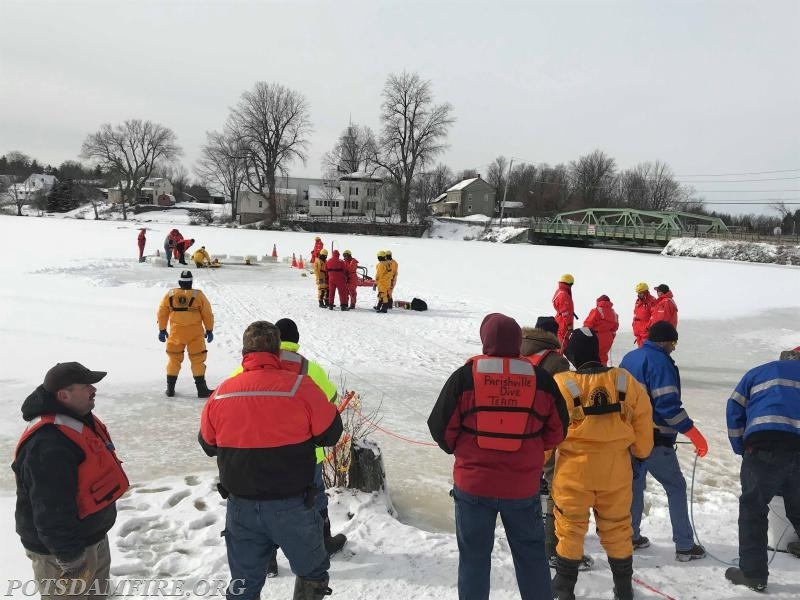 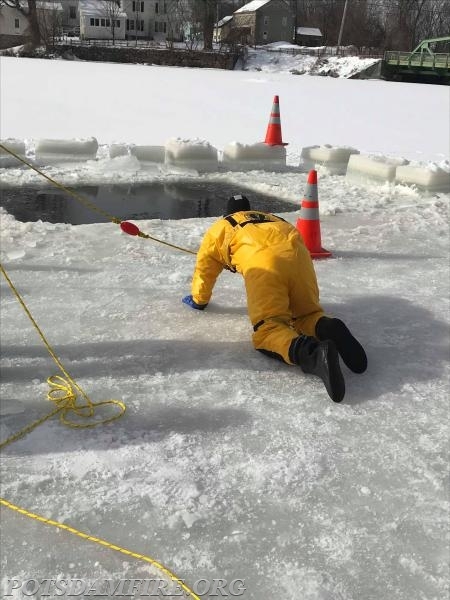 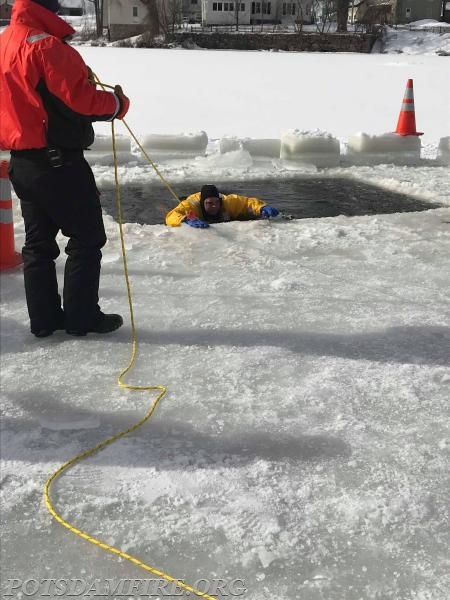 Members of the Potsdam Fire Department along with one officer from the Potsdam Police Department recently refreshed on their ice/cold water rescue skills. 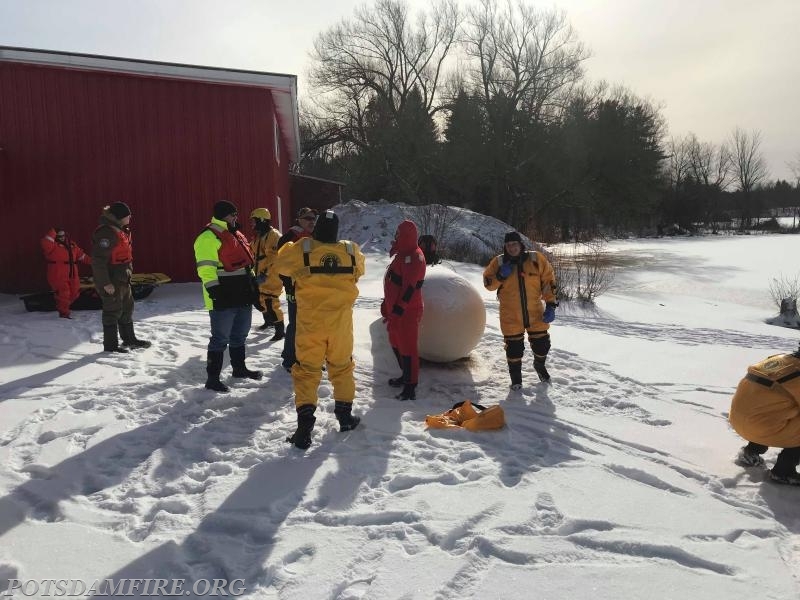 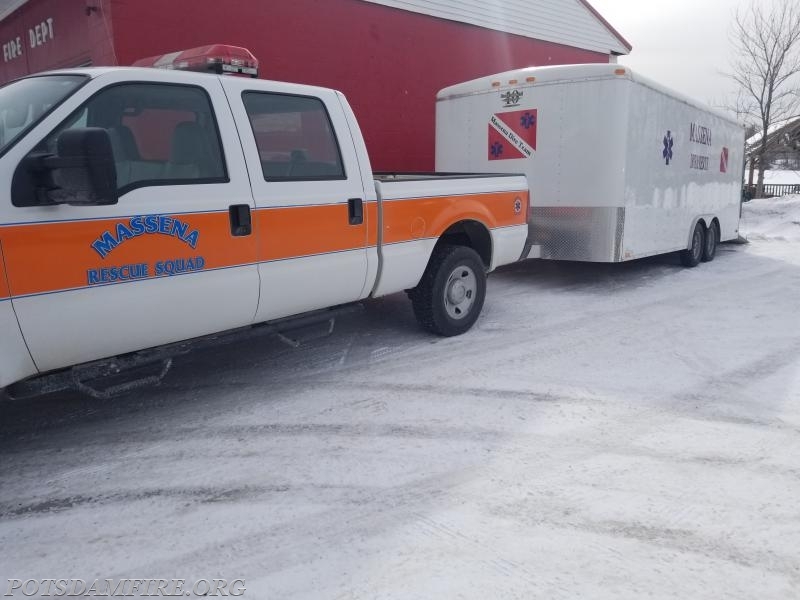 Parishville Fire Department was kind enough to host the training as they have one of the best water rescue training sites right behind their firehouse. 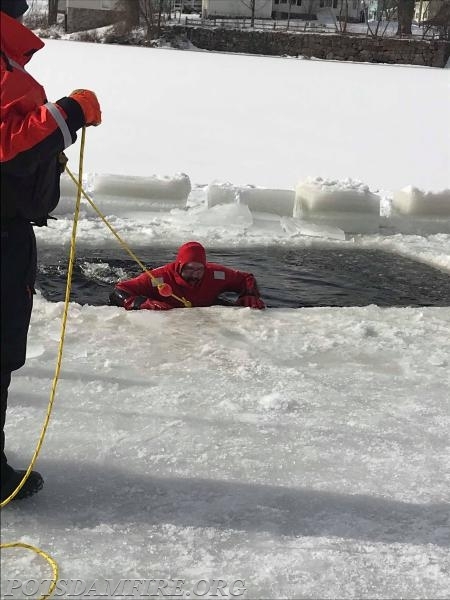 Members demonstrated their skills using a variety of different tools to rescue a victim from the water. 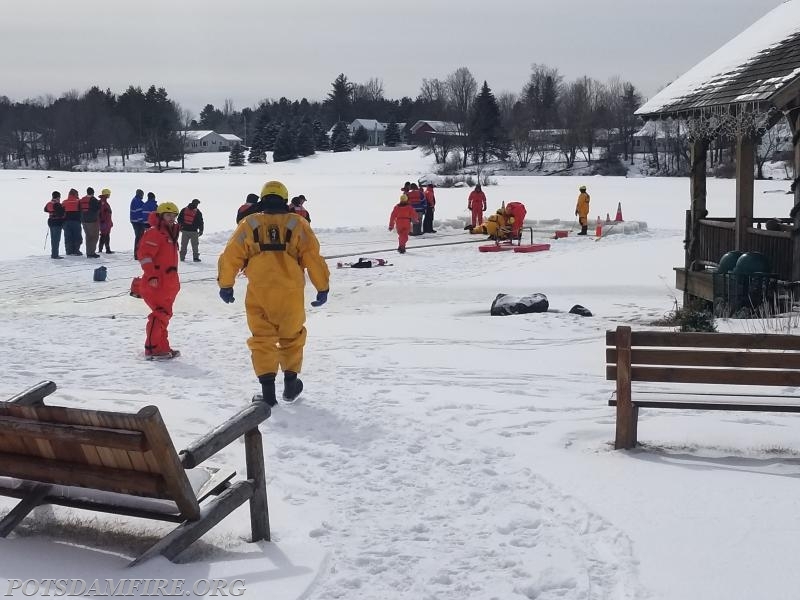 It was nice to see so many dedicated members take a Saturday morning away from their families to train on a topic that we do not respond to very frequently. 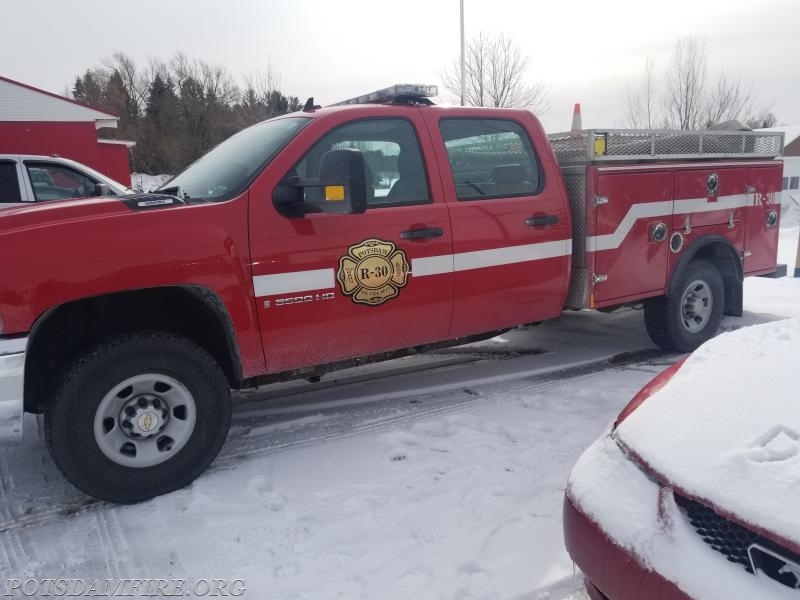 The amount of skilled firefighters our communities have and the accessibility to a variety of equipment that each department has is very humbling. 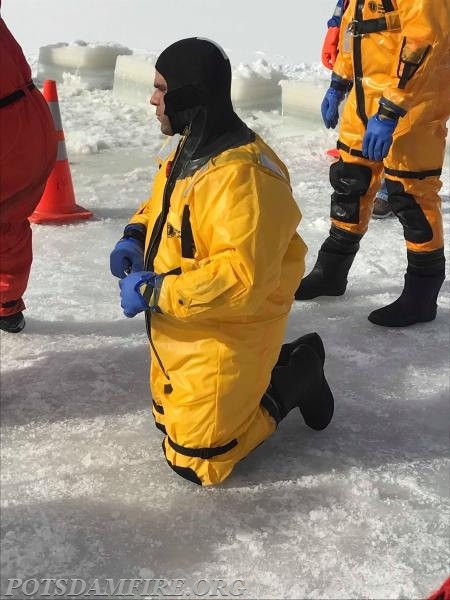 Dive Master D. Taylor explaining the different components of the rescue sled to J. Kozak and M. Seymour. 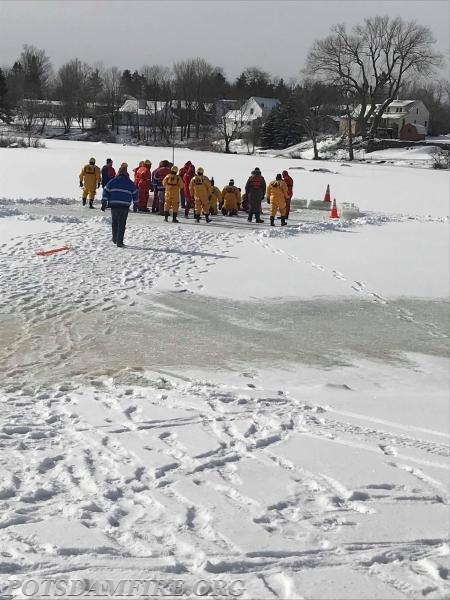 Potsdam members B. Andrus, K. Blain, J. Kozak and D. Rose getting instructions from Parishville Chief D. Cool. 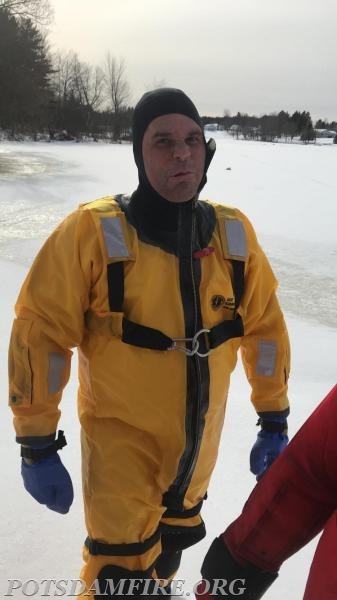 You are Visitor #199 Today!